Stephen and Ann Wilson founded Postie 32 years ago, in 1987. So called ‘Postie’ because purchases would be delivered to the Post Office…who would have known way back then that the delivery of fashion to the door would take off like it has today! 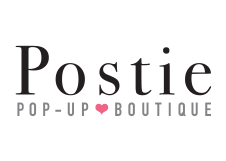 Postie has engaged thousands of amazing women over the years and contributed to the fulfilment of their fashion dreams, lifestyles and travels. From Host to Stylist to customer, the experience of being a part of the Postie network has, without doubt, enhanced many lives. Our mission has always been to empower women to release their inner businesswoman, to find financial freedom, grow friendships through fashion and enjoy flexible working hours while allowing time for living life. Our foundations of integrity and strong family values remain as we move confidently into a new era of ‘social marketing’.